In 2017, Canadian based Norco introduced the fatbike world to their carbon fatbike . . . the Ithaqua. 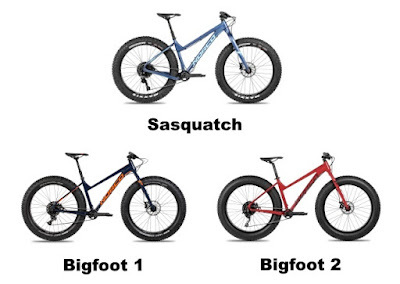 There were three flavors available (6.1, 6.2 and 6.3) each one sporting the same carbon frame with differing components. 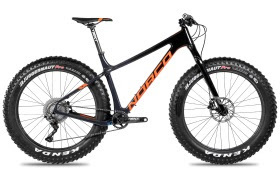 The frame featured the same Power Chassis as Norco's cross country race bikes with the ability to run up to 5" fattie tires. Ithaqua 2 - 1 x 11, SRAM Level brakes, Shimano shifting, TranzX dropper post, Mulfut 80 with Juggernaughts and carbon fork. Ithaqua 2S - Same components as Ithaqua 2, but with Manitou Mastadon 100 Pro front suspension. Ithaqua 1 - 1 x 12 Eagle, SRAM Level TL brakes, SRAM drivetrain, Crank Brothers dropper post, Mulfut 80 with Juggernaughts and carbon fork. Ithaqua SL - 1 x 11, SRAM Level Ultimate brakes, Shimano/RF drivetrain, RF Next SL seatpost, HED Big Deal carbon rims with Juggernaughts and a carbon fork. 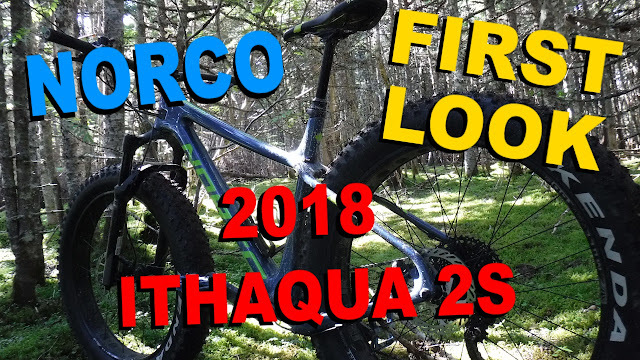 After hearing about the new Manitou Mastadon being mounted to the Ithaqua, Fatbike Republic reached out to the folks at Norco and secured a Ithaqua 2S for some real world dirt and snow testing. And here is a video walk around of this blue beast . . .
For those not interested in the flavor of carbon, Norco also carries a fine selection of alloy fatties in the Sasquatch and Bigfoot lines. I'm looking forward to putting some serious dirt, rocks, snow and ice under the Ithaqua 2S. 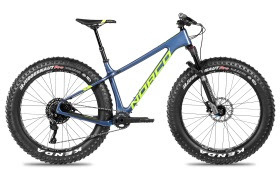 It will be interesting to see how Gravity Tune, Power Chassis and other Norco tech meshes with the Mastadon and translates into real world riding. I'm also curious to see how this carbon fattie compares to the alloy fatties that I have ridden and currently ride. Stay tuned and ride fat!